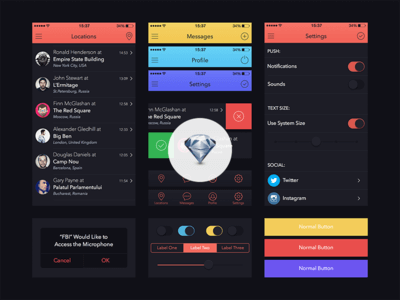 Couple weeks ago I did for my buddy @Murat Mutlu and his beautiful app Marvel this UI Kit. Another good buddy @Ari give me idea to do this kit for Sketch App. I love Sketch and it was a good practice.